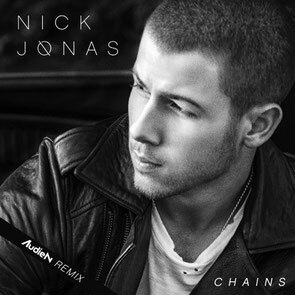 After his remixes of Bastille’s ‘Pompeii’ and Michael Jackson’s ‘Slave To The Rhythm’, as well as his newly released original single ‘Insomnia’ which has apparently been well received by music fans and critics alike, the Grammy-nominated DJ/producer Audien now tackles Nick Jonas’ ‘Chains’ - possibly one of the biggest singles currently on the market. As Nick Jonas’ second single from his debut album, ‘Chains’ features silky vocals and a distinctive R&B aesthetic. Audien transforms the original incorporating his own individual flair - with hypnotic chord progressions, soaring synth and a vibrant piano melody. His ‘Chains’ remix is proving popular and possibly further cements his future as one of dance music’s rising stars. Be on the lookout for more information on new music, live shows, and unexpected and exciting new announcements on the horizon. It’s out now on Island Records exclusively on Beatport and is available on all other platforms 21 April. Check it out below.